David Higgins. Photo Network Rail. 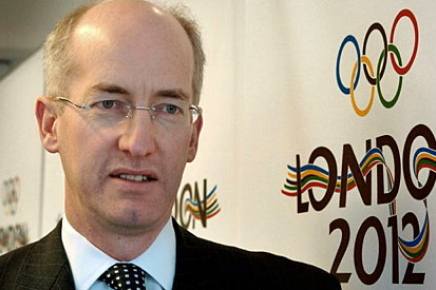 Britain’s not-for-profit railway infrastructure company, Network Rail, announced today that David Higgins, currently CEO of the Olympic Delivery Authority, will become the company’s CEO from 1 February 2011. Explaining why he had accepted the new job David Higgins said, It has been a privilege to lead the ODA over the last five years and I am leaving with the Olympic Park on time, within budget and with the finish line in sight. Looking forward, Network Rail is one of the most important companies in the UK – an efficient railway underpins a modern economy. Maybe our Polish ministry friends should be reminded of this simple fact? Nowe Skalmierzyce station August 2009. From a photo on the railwaystation.blogspot.com blog. Railway Stations is a blog whose posts consist entirely of photographs of railway stations. We have reason to think that the photographer is Polish – the blog includes 7 stations in the UK, 11 in Russia, 16 in the Czech Republic, 19 in Germany, 28 in Slovakia and 65 in Poland! An image is worth a thousand words and this remarkable collection of photographs graphically shows how Poland’s railways have now become the Cinderella of the European railway network. PKP IC is seeking comments with respect to its proposed new timetable for the period 2010 – 2011. A laudable exercise. Noteworthy in the draft timetable is the demise of the Warszawa Wsch to Lodz Fabryczna trains from 1 March because of the City of Lodz’s and the Ministry of Infrastructure’s white elephant project to replace the historic Lodz Fabryczna station with a hole in the ground. Do drop PKP a line by 30 September, if like us you would like the Jan Kiepura extended to Hook of Holland or its through coach to Cologne reinstated, or indeed any other changes. You can draw down a summary of the main trains as well as the complete draft timetable by following the links below. From left to right – The founders of the Association of Polish Railway Enthusiasts (PSMK) – Tomasz Wach, Andrzej Paszke, Andrzej Brzozowski, Tadeusz Dabrowski are told by Elzbieta Dziewulska (City of Warsaw) that the registration of the association has been accepted by the city authorities, October 1987. Photo Teresa Brzozowska, PSMK archives. On 22 September, Poland lost one of its pioneering railway photographers and activists. Tomasz Wach was a railway photographer at a time when it was very difficult to take photographs of Polish railway locomotives. Indeed the official photographer of the Warsaw Railway Museum had once spent a night in police cells just for doing his job! Wach had a great interest in Polish narrow gauge railways and his earliest pictures document them in at work well before the rot set in. Many of Wach’s best photographs can be seen on-line on the Wciaz pod Para website maintained by Tomislaw Czarnecki. He had a particular affection for Poland’s narrow gauge railways, both the public lines run by PKP and the lines run by the sugar beet factories. His death has attracted tributes from Poland’s narrow gauge, standard gauge and railway modelling, enthusiast fraternities. Tomasz Wach’s funeral takes place tomorrow (Tuesday 28 September) at 13.30 in the Dominikan Abbey church in Sluzew, ul. Dominikanska 2, 02-741 Warszawa. Tomasz Wach’s legacy, one of the photographs taken by him in the 1960s. 750mm gauge 0-6-0T, Ty1-1096, shunts at Gdansk Waskotorowy in 1963. Royal Saxon State Railways IK class No. 54 in Naundorf in June 2010. Photo Wassen. 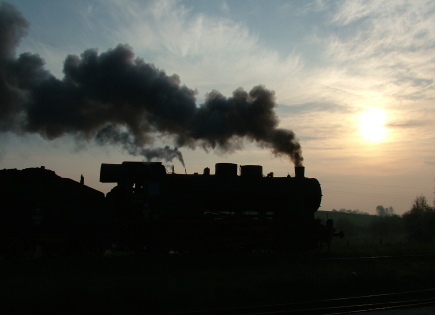 Germany is building some superb new steam engines. The focus for this work is the Meiningen Locomotive Works in Thuringia. The Meiningen Works became famous in the English-speaking world after constructing an all-welded steel boiler for new-build A1 Peppercorn pacific Tornado, although the works had been in the business of carrying out major repairs to Germany’s heritage steam locomotive fleet for some time. Indeed the works have just completed a major rebuild of streamlined pacific BR 18.201, currently being billed as the fastest operational steam locomotive in the world. We have already described the building of 99.2324-4 for the 900mm gauge Mecklenburgische Baderbahn. Now this weekend (25 – 26 September) the ‘public days’ of the InnoTrans, transport technology trade fair in Berlin provide an opportunity to see, on stand FA15, the latest locomotive assembled at Meiningen – a brand new 750 mm gauge Saxon Railways IK class locomotive. No. 54 was built during 2006 -2009 as an initiative by the Saxon Metal and Electrical Industries Association. Association members provided donations in kind and cash to the value of some 1.5 million euro. The first IK class locomotive was built in 1881. The locomotives had a wheelbase of only 1.8 metres, outside Allan link motion and were driven on the third axle. Altogether 44 locomotives were built. They could be seen on nearly all the Saxon narrow gauge railways, though gradually they were displaced to working lines with only light traffic. After WWII, two survived in Poland working the rump of the Zittau-Hermsdorf Railway before that line closed. Other members of the class worked industrial lines in Germany. The last locomotive worked at the Eisenwerke Smiedeberg until 1964 when it was withdrawn and scrapped. Now, thanks to the Saxon Metal and Electrical Industries Association, the IK class lives again. How about a similar collaborative effort by the Railway Industry Associations of Germany and Poland to restore Ty2-5680? Pragnę poinformować, iż umowa sprzedaży parowozu Ty2-5680 z firmą KEM w chwili obecnej zostanie rozwiązana. Parowóz został przetransportowany do jednej z naszych lokomotywowni Szczakowa-Jęzor, gdzie z powodu zacięcia się zestawu kołowego zostanie poddany drobnej renowacji. W chwili obecnej rozważana jest nowa lokalizacja, która pozwoli w sposób odpowiedni podkreślić jego historyczną wartość. Poinformujemy Państwa o nowym miejscu pobytu historycznej lokomotywy. I would like to inform you that the agreement regarding the sale of steam locomotive Ty2-5680 to KEM has, as of this moment, been cancelled. The locomotive has been transported to one of our locomotive depots, Szczakawa0-Jezor, where, as the result of a damaged bearing, it will undergo a minor repair. We are currently considering a suitable new location which will emphasise the historic value of the locomotive. 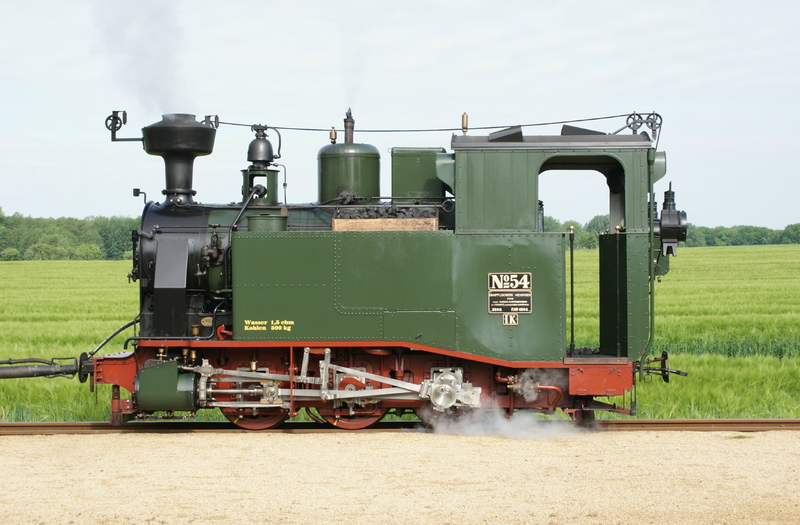 We will inform you about the new location of this historic locomotive. Some autumn sunshine for Ty2-5680. Note missing connecting rods. Photo Rynek Kolei. I have just learned from unofficial sources that DB Schenker Rail Polska and KEM Sp. z o.o. have by mutual agreement cancelled the sale of Ty2-5680. The ‘kriegslok’ remains the property of DB Schenker Rail Polska and the remainder of its move to the KEM works has been cancelled. The engine will stay at the company’s locomotive shed at Szczakowa-Jęzor until a long-term decision is made about its future. DB Schenker Rail Polska are expected to issue an official statement soon. The change of mind by DB Schenker is the result of an emergency lobbying campaign by railway enthusiasts in Poland and abroad. The campaign was coordinated by Robert Dylewski of Fundacja Era Parowozow. If not for Robert’s hard work, the locomotive would by now be facing the oxy-acetylene torch in the scrap siding of KEM Sp. z o.o. I would like to thank all our readers who took part in our letter writing campaign and also our friends in Lok Report who were kind enough to translate our appeal into German and publish it on their website. Ty2-5680 at the HQ of PCC Rail Szczakowa in June 2006. News reached BTWT on 21 September that Ty2-5680 has been sold by the Polish division of DB Schenker to a scrap merchant. To loose any one of Poland’s 300 surviving steam locomotives is a tragedy; to loose a Ty2 that is complete and could be quickly restored to running order is completely unacceptable; to loose such a locomotive as the result of a decision by a division of Europe’s largest railway operator – Deutsche Bahn AG – is a scandal; to see it destroyed by the fiat of a German state owned company is a major international incident. Ty2-5680 was built in 1943 by the F. Schichau GmbH, Maschinen und Lokomotivfabrik in Elbing and was allocated works no.3958. During the war it ran as DRB 52 5680 and then from 1945 onwards as MPS TE 5680. It spent much of its active life in Poland working on the sand railways – lines that were not part of the PKP network, but were operated by the Przedsiebiorstwo Materialpw Podsadzkowych Przemyslu Weglowego (PMPPW). When Ty2-5680 was withdrawn from service, it was preserved outside the PMPPW offices at Jaworzno-Knieje. In 1990 PMPPW was split into 6 separate companies. Ty2-5680 became part of Kopalnia Piasku Szczakowa SA, later PCC Rail Szczakowa SA, then PCC Rail SA. On 30 January 2009, DB Schenker bought PCC Rail SA, acquiring in the process an operating licence to run freight trains on Polish railways, the former PMPPW offices and Ty2-5680. The shock decision to sell Ty2-5680 appears to have been made by local DB Schenker management without considering the PR and political repercussions. We urge all BTWT campaigners, especially our many German friends, to write immediately a firm but polite letter to Dr Rüdiger Grube, the chairman of Deutsche Bahn AG, asking him to take appropriate action to reverse the sale and save the locomotive. A local group lobbied hard with the objective of saving the last section of the Hunedoara narrow gauge railway in Romania and developing it as a tourist attraction. 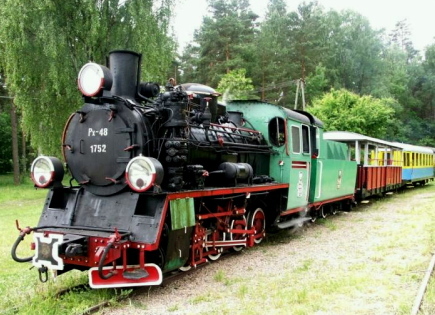 A ride with the narrow gauge train (mocăniţa) would be a perfect combination with a visit to the castle. Not to mention at the end of this narrow gauge line at Govăjdia is the oldest blast furnace conserved. It was the most modern blast furnace in Europe for smelting iron ore for it’s era. Most of the cast-iron parts made here are in the structure of the Eifel Tower in Paris. Today is a historical monument and open for visitors. The line had enormous heritage value in its own right. Our narrow gauge railroad was the first railroad of Transylvania. Hunedoara’s narrow gauge train station was the only station in Europe where the locomotive had to go around the station in order to turn the locomotive around without the need of a turntable. The narrow gauge train passed over the first bridge built in a curve in our country. But greed and local politics got in the way. Today the the Hunedoara narrow gauge railway is no more. Abandoned and dismantled piece by piece for scrap, Hunedoara’s narrow gauge railway system is on the edge of extincion. There are some works of railway art yet undestroyed three bridges and three tunnels. The first bridge was built in the 1890′s in a curve, and it was the first bridge built in a curve in Romnania. The second bridge was built in the 1890′s and replaced in 1989 to support a greater load, it is 114 meters long, has four legs and is in an “S” shape. The third bridge is at Govăjdia, 12 meters long and also was built in the 1890′s. The first tunnel is near Zlaşti, it is 747 meter long, crossing trough the mountain to Căţănaş it was built over a period of 5 years with primitive technology. The second tunnel is at Tulea, it is 42 meters long and was built in a curve. Both tunnels where designed by two italian engineers. The third tunnel 44 meters long was built in the 1860′s it is near Retişoara. These objectives would be a proud addition to every railway museum. The tragic fate of the Hunedoara narrow gauge railway is a sober warning to railway preservationists everywhere; especially so those in former Soviet block countries where very little public recognition is given to industrial heritage. What future is there for Poland’s loss-making narrow gauge railways like the Smigiel and Przework lines? How soon before the scrap thieves remove the track from the remains of the Krosniewice Railway? (1) The quotes are taken from The Narrow Gauge Railway of Hunedoara blog. Crowds gather in Smigiel station yard. The smoke coming from the dead Px48 is from a burning rag in the smokebox and is there just for show. Photo ©Marek Ciesielski. Lxd2 pulling the Smigiel ‘tourist train’. Note the difference between the height of the original Smigiel Railway rolling stock and the Romanian imports. Photo ©Marek Ciesielski. Tourist train followed by railcar. Photo ©Albert Mikolajczyk. Three trains at Stare Bojanowo. Photo ©Albert Mikolajczyk. Listening to the politicians. Photo ©Albert Mikolajczyk. Strongman entertains the crowds. Photo ©Albert Mikolajczyk. Friday 17 September was the 110th anniversary of the opening of the Krzywin – Stare Bojanowo secction of the Smigiel Railway to freight traffic. The line from Krzywin, through Stare Bojanowo and Smigiel, to Wielichowo was actually opened to passenger traffic on 30 October 1900 and the section from Wielichowo to Ujazd was opened on 1 September 1901. Though the Krzywin – Stare Bojanowo section was cut back to Zgliniec on 1 July 1979, and closed altogether on 27 May 1990, the 17 September 1900 date was sufficient excuse for Sunday 19 September to become the ‘official’ 110 birthday of the railway. SKPL pressed all its operable passenger rolling stock into service and ran an intensive train service between Smigiel and Stare Bojanowo. At times three trains ran in quick succession one after another operating on a line-of-sight basis similar to that used on tramways. The Smigiel Town Council took care of the entertainment side of the ceremony providing the public with free soup, a band and a strongman. Later it transpired that the costs of the Town Council’s ‘contribution’ are to be paid for from the grant that the Town Council receives from the Wielkopolska Provincial Government towards the costs of running and maintaining the railway. To the accompaniment of the Lodz MPK brass band, actor Marcel Szytenchelm relaunches the restored 1928 ‘Sanok’ tram at the former inter-urban tram station in Lodz on 31 July 2010. Video by brite77. Yesterday was a good day; I had a phone call from Tomasz Adamkiewicz, would I like to go from a tram ride? You bet I would. Tomek owns a number of vintage tram cars which he has rescued and restored to their past glory. Which tram would he be showing off today? We arranged that I should join him at Radogoszcz, a location difficult to mistake – a tall memorial marks the spot where, in January 1945, the retreating Germans set fire to a factory building, burning alive some 2,000 prisoners. I waited at the Radogoszcz tram stop. A selection of Lodz trams rattled past. There were plenty of modernized Konstal 805Nas, a couple of new PESA 122Ns and an ex Fryburgu Düwag GT8 running the Miedzygminna Komunikacja Tramwajowa inter-urban service to Ozorkow. But none of these was Tomek’s tram. At last a green ancient four wheeler came into view, going like the blazes – the 1928 ‘Sanok’. Later Tomek was to admit that the only non authentic parts used in its restoration were its the motors. The original ‘Sanoks’ had a top speed of 35 km/h (22 mph). Tomek’s ‘hotted-up’ version is capable of 60 km/h (38 mph)! Tomek found the Sanok in a garden in Wisniowa Gora near Lodz some 11 years ago. By then it had lost its chassis. He bought the body for 250 zloty. It cost him another 350 zloty to move it to the MPK tram depot at Helenowek, where he had be given permission to store the vehicle. Working as a MPK fitter during the day, he worked on his beloved Sanok at night, gradually collecting or making the missing parts. The first part of our journey was on the route of the realaid LRT (Lodz ‘fast tram’) route running along reserved track alongside ul. Zgierska and then down the centre of ul Zachodnia. Then Tomek hopped out and changed the points at the 3-way junction with ul. Legionow. With a squeal of flanges we ran through the south-east curve at the junction and were running down the middle of a cobbled street. The ‘Sanok’ was in its natural element. Film makers looking for pre-war Polish street scenes need look no further. We ran across ul. Wlokniarzy, under the viaduct carrying the Lodz Kaliska to Kutno railway line, and alongide the right-hand side of ul. Legionow down to Zdrowie. Here a single line of track carries on invitingly to the East – the Lodzkie Tramwaje Podmiejskie inter-urban line, but Tomek has had a row with the Tramwaje Podmiejskie over some vintage trams that the latter had sold and our ‘running rights’ did not include the track to Konstantynow and Lutomiersk. So Tomek got out again and changed the points to run down the short spur to the Zdrowie loop. We ran back to ul Legionow and here I made my farewells to Tomek and waited for my lift. By curious coincidence my next journey, this time by car, took me on to Lutomiersk. Here I had come to view a brand new house built from logs! Such construction is actually cheaper and healthier than modern breeze block, cement and brick technology. It took the contractor some 2 months to precisely shape all the wooden logs. Amazingly the actually construction of the walls and roof on site only took three days. While standing back from the house I saw a farmer driving a traditional horse and cart. Nothing unusual about that in Poland, you may say, but this cart was pulled by two horses. The three actors in yesterdays drama came from completely different backgrounds: Tomek the tram fitter, doing extra overtime to pay for the parts he needs to restore his collection of vintage trams; the couple of college lecturers who decided to build a wooden house, the young farmer who could afford a second-hand tractor, but prefers to employ horses. All of them are making a statement about preserving and celebrating all that was best from the past. There is hope for Poland yet. As part of Lodz’s celebration of Dni Publicznego Transportu (Public Transport Days) Tomasz Adamkiewicz’s vintage ‘Sanok’ is running a special ‘H1’ public service from 16 – 22 September. You can view the timetable details here and here. Px48-1752. Photo Elk District Council archive. The Elk narrow gauge railway has been unfairly neglected by BTWT, particularly as the line can boast 47.6 km of route and a recently overhauled Px48 in running order! The line was originally built as a metre gauge railway between 1910 and 1918, and the first 24.8 km section, from Elk to Borzymy, together with a 9.7 km branch to Zawady-Tworki, was opened in October 1913; the final 13.2 km from Borzymy to Turowo was opened in 1915. WW I was going on at the time and the repair of war damage and restoration of regular passenger services took place in October 1918. By 1939, the line could boast 5 steam locomotives, 9 passenger coaches two post office coaches and 37 goods wagons. During WW II the line suffered greatly during the attack by Soviet forces against Poland’s eastern borders. In 1951, the line was rebuilt to the 750 mm gauge. The line was steam worked until 1968 when its motive power was augmented by two Lyd-1 0-6-0 diesel locomotives. Steam continued in use, however, and the line continued in operation until PKP liquidated all its surviving narrow gauge railways in 2001. A major campaign to save the line was launched by two brothers, Miroslaw and Adam Sawczynski. In 2002, the first train ran on the line under the auspices of the Elk Town Council who concluded an agreement with PKP to take over the line and also obtained a licence from PKP to operate the line pending the completion of the legal formalities. The line is operated by MOSiR, the Town’s Sport and Recreation Department. Now the Town Council has secured a 695 632 PLN grant from EU Regional Development Funds towards the cost of essential repairs. The value of the whole project is 1 070 204 PLN with Town Council making a 35% own funds contribution worth 374,572 PLN. The project scope includes repairs to a workshop building and the locomotive shed and main workshop, demolition of buildings surplus to requirements, completion of a security fence and landscaping in the station area. Elk Town Council deserves congratulations for investing in the future of its railway. Smigiel Railway fans will grind their teeth in frustration at the lack of a similar engagement from Smigiel Town Council! Unknown train, unknown destination. Photo ©Marek Cieselski. On 27 September, Council members of Wielkopolska provincial government are due to debate the setting up of a new company to run the Wolsztyn MPD. The new company – a joint venture between PKP Cargo and the local authorities – is to take over the management of Wolsztyn from PKP Cargo. The Wielkopolska provincial government is to hold a majority stake in the new venture. Minor shareholders are to include the local authorities along the line. If the takeover goes ahead as planned will things improve for Wolsztyn’s worn out steam locos or will the new company be a gravy train for senior PKP Cargo and Wielkopolska officials? Time will tell, but in the meantime keep reading BTWT. Chrzanow built 0-6-0T Tkh 4015 Karel at Bitton Station on the Avon Valley Railway. Photo Interlok. I have a soft spot for the Tkh 0-6-0Ts, partly because I first met the class during an unofficial schoolboy grice inside a securely guarded industrial facility in northern Poland the 1960s, and partly because the engines bear a superficial resemblance to the ex Southern Railway USA tanks, a couple of which I managed to nab at Guildford shed before the demise of steam on the Southern. Rynek Kolejowy is Poland’s very own railway industry journal. It is focused firmly on the future and rarely looks back on the past and more rarely still mentions anything to do with steam. So when I saw the Rynek Kolejowy headline Polski parowoz ratuje zycie (Polish steam locomotive saves a life) above an article with an embedded You Tube video of 4015 running round her train at Bitton station on the Avon Valley Railway I simply had to know more. So what really happened? Under the headline Steam Crew Stage Lineside Rescue a sober and detailed account of the incident appears in RailwayPeople.com. The crew of a steam train helped speed an injured cyclist to hospital after he crashed on a line side track. The remote path is inaccessible to ambulances and has nowhere nearby suitable to land an air ambulance. The cyclist, Mike Mesham, 43, was thought to have sustained head and spinal injuries and was evacuated by steam train after paramedics rushed to the scene at the Avon Valley Railway. Ken Hill, the driver of a Chrzanow 0-6-0T 4015 – Karel, spotted the cyclist lying motionless on the path that runs beside the railway. Mr Hill promptly alerted the crew and called the railway’s control centre at Bitton… And the cyclist’s condition – near death, or just scrapes and bruises? Mr Mesham sustained a broken arm. Checking different accounts of the same news story can be quite educational! Lubin Station. Compare with the picture below and note ‘improvements’ carried out by PKP architects in the 1970s. Photo Lubin Town website. Lubin Gorniczy is still on the Polish railway network, but only just. The PKP interactive timetable shows that of the three Przewozy Regionalne ‘trains’ that serve the line betweeen Legnica and Glogow only one is a train, the other two are buses. But even the one surviving train shown by the timetable may be a ‘ghost train’. According to the Lubin town website the last train from Lubin to Wroclaw left Lubin station on the 31 August. At a recent conference in Warsaw Juliusz Engelhardt, the Under Secretary of State in the Ministry of Infrastructure responsible for rail, announced that funding had only been agreed to refurbish 3,600 km of Poland’s railway network while 12,000 km urgently needed repairs. As track deteriorates line speeds are cut… . When trains take significantly longer than road transport to reach their destination, passengers switch to buses and cars in droves. Yet Lubin is not a poor town. The town is situated on one of the richest copper veins in Europe and the Town Council enjoys a healthy income. Indeed, until recently, the Council planned to renovate the station building and develop a combined rail and bus facility, complete with a restaurant, lounge, shops and toilets on the site. Sadly the plans came to naught and the abandoned and devastated station looks set for demolition. Lubin Gorniczy and the Legnica – Glogow line. Map RailMap. Poland’s secondary lines are dying. Without any fanfare such as heralded the Beecing cuts on the UK, a station is closed here, a passenger service is withdrawn there. Compared to the government support enjoyed by railways in neighbouring countries. Poland’s railways are grossly underfunded. They have to bear the costs of a very expensive organisational model – PKP fragmented into over a hundred separate companies. They are charged punitive taxes in respect of their stations and workshops. They are responsible to politicians to prefer to finance their own local pork barrel schemes rather than ensure the health of the network as a whole. Unless there is a major policy shift at the very top of the Polish government, the prognosis for Poland’s railways is very grim. Point and indicator on the approach to Wegorzewo Station on the Wegorzewo – Ketrzyn branch, the first standard gauge railway line to be preserved in Poland. Photo Michal Malek. An apparently unconnected series of events. In spite of getting up at 06:00, I am in serious danger of missing my Warsaw train, which departs nearly two hours later. My taxi deposits me at the station with 10 minutes to spare, but there is a long queue which shuffles forward agonizingly slowly. After 5 minutes only 3 of the 8 people in front of me have been served. I abort the mission and walk smartly to the train and steel myself to pay the the penalty for buying a ticket from the train conductor. The PKP IC TLK train is a brand new EMU, but the seats are back-breakingly uncomfortable. I sit on some folding seats near the toilets. They are nothing to write home about, but are better than the standard seats in the rest of the train. The train runs no faster than 130 km/h (81 mph) and completes the journey at an average speed of 86 km/h (51 mph). A considerable portion of the line has been completely rebuilt thanks to various EU-assisted projects. The rail alignment of the welds of the continuously welded track leaves a lot to be desired. At one place the train lurches uncomfortably across a facing point – a strange piece of track alignment on a completely rebuilt main line. I arrive in Warsaw about an half hour early for my meeting. I contemplate buying my return ticket, but I do not know whether I will be returning on a Przewozy Regionalny IR train, or on a PKP IC TLK train and the two operators do not recognize each others’ tickets. same uncomfortable seats as on my morning train. My meeting was in the Ministry of Infrastructure, part of the consultative process relating to the Ministry’s planning document featured earlier on BTWT. The meeting is very sparsely attended – not surprising since it was only advertised on the Ministry’s website and also once on Puls Biznesu. After a 1 hour presentation by Juliusz Engelhardt, the Under Sevretary of State responsible for rail, it is time for our comments. I venture the point that the voice of the passenger appears to be missing – perhaps a formal consultation process could be instituted? The Minister receives my comment with scorn. Poland complies with all the relevant EU legislation. The passenger has an opportunity to input into the consultation process of which this meeting is a part. As a railfan, I find the actions of PKP Cargo rather strange with respect to the custody of their steam locomotives. Whilst having a positive approach to the Wolsztyn depot to the degree that they are creating a new company with the Wielkopolska provincial government, at the same time they have said indicated that they want to dispose of the Chabowka museum at the earliest opportunity. Yet they have just found resources to fund two more major boiler overhauls on Chabowka locomotives. Bear in mind that, while Wolsztyn continues to struggle with loco maintenance having had only one loco with a major boiler rebuilt in the last four years for its daily passenger services, Chabowka has had four locos in the last four years with major boiler repairs for its 20 or so trains a year. Can anyone explain the logic in this to me? On August 30 a group of young people gathered at Katowice station to protest about PKPs plans to redevelop the station. We hope we can save the station, said Ester Solinska, one of the organisers of the demo. ‘Save the historic station’ demo. Video Dziennik Zachodni. Now I am a great fan of local initiatives and in my dark and distant past have organised quite a few campaigns and even saved a station or two, but I must admit that I wonder at what the real motives of the organisers in this case are. 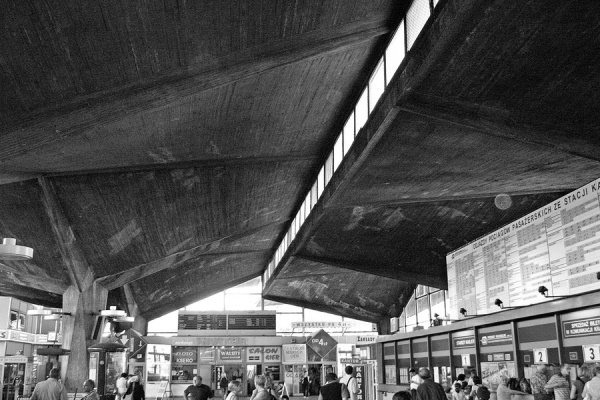 Setting aside that the 1970s built Katowice station is really ugly, its ‘iconic’ pillars were built at a time when the substitution of poor quality materials was normal practice on PKP construction projects and it is highly probable that by now they are at the end of their useful lives. However what’s this? PKP is proposing to remake the pillars and incorporate them in its new design! Architect’s visualisation of the new station. Video PKP and Neinver. So what on earth was this demo about? Any way here is an idea for PKP. Why not demolish the 1970s station completely and commercially develop the whole site. With the profits buy back and refurbish the old 1906 station. Now there is a building really worth saving! ‘Kattowitz Hauptbahnhof’ pre WW II. Photo Katowice City Council archives. Ex Mannheim Düwag GT6 in Grudziaz. Video Lokleitung. Grudziaz (pop. 96,000) is the smallest town in Poland to have retained its tram system – an 18.6km metre gauge network consisting of three lines. Trams originally came to Grudziaz in 1885 and the system was electrified in May 1899. The future of the system seems to be assured. In December 2009, A consortium of ZNTK Minsk Mazowiecki and PESA won a 6.4 million PLN tender to modernise 6 Konstal 805Na motor units. The municipal transport company, MZK Grudziądz, has also bought 10 Düwag GT8s at 140,000 PLN each from Krefeld. 8 GT8s have already been delivered. Curiously, the GT8s will not be replacing paired Konstal 805a and 805b units, but ex Mannheim GT6s. However, Grudziaz’s loss will be Lodz’s gain. Inter urban operator Tramwaje Podmiejskie which runs service 43 from Stoki in Lodz to the market square in Lutomiersk has bought 6 ex Mannheim GT6 cars from MZK Grudziaz at 40,000 PLN a piece. Chabowka 0-6-0T Tkh49-1 performing for the cameras. Some excellent photographs of Parowozjada have appeared on the web which gives us an excuse to return to the subject of PKP Cargo’s ‘secret’ steam gala. If only the powers that be cared to give more notice of the event – what crowds there would be!